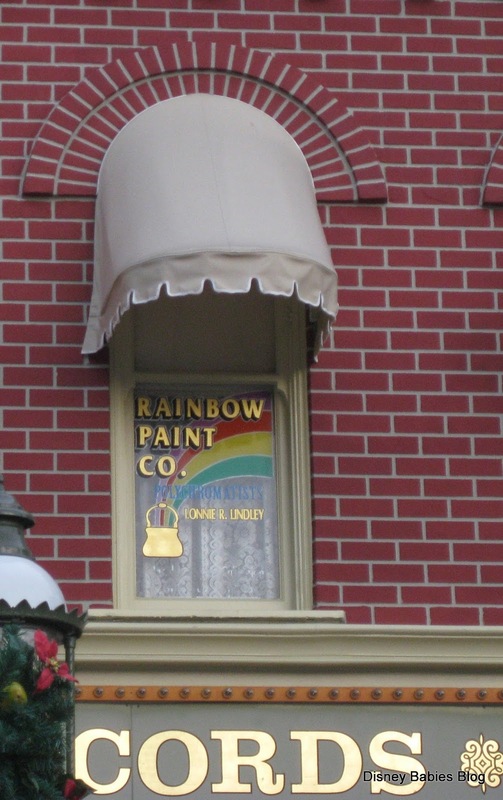 Looking closely, you can tell that something was cut off at the bottom - thanks to mouseplanet, I found that it used to say "World's Largest Collection of Paint Samples"
Lonnie Lindley was the head of the Walt Disney Paint Shop. 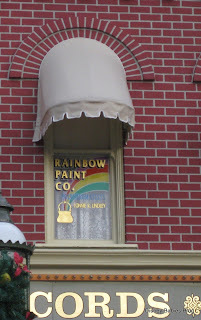 He was responsible for all of the paint work at the Magic Kingdom! Talk about a big job! Another one who hadn't seen this window before. I'll be looking for it next time! That's so interesting... I've never seen that window! Thanks for sharing more window history! !